Heintz & Weber Co, Inc. 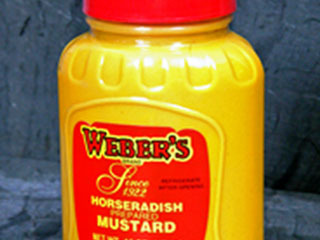 The makers of the #1 selling Weber’s Brand Horseradish Mustard. A continued staple of great Buffalo-made food products since 1922. I’d like to offer my sincere appreciation and thanks to everyone who has shown continued support to our high quality products, staff, and the lasting legacy of my grandfather’s dream. Derek Gee “The Buffalo News,” James Neiss & Steven D Desmond. Rasing Awareness & Dollars for Duchenne Muscular Dystrophy. 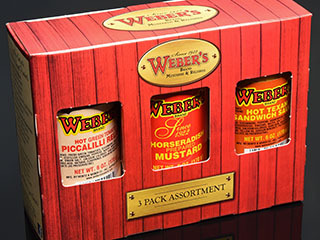 Including Weber’s Horseradish Mustard, Weber’s Hot Piccalilli Relish and Weber’s Hot Texan Sandwich Sauce. The original since 1922, made with a smooth yellow mustard base and enhanced with the hot flavor of horseradish and a few secret ingredients. 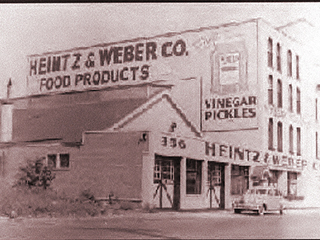 Heintz & Weber Co., Inc. was founded in 1922 at the Broadway Market by Joseph C. Weber and John Heintz.